It’s exactly a month till Christmas so make sure you have a look at our incredible Christmas gift ideas for men and women. Below we have chosen our favourites which you will definitely love giving to your partner, siblings and friends. Choose from a wide range of body jewellery, gift boxes, colours and glittering designs which will update your style in an instant. Surprise your partner with a sparkling pendant which will catch the light wonderfully and coordinate beautifully with all your favourite outfits. 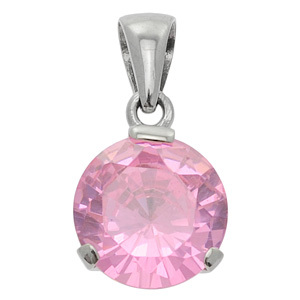 Below we have a clear Cubic Zirconia cross, pink round and blue round pendant that will really impress all your family. This will effortlessly update your style and will make the perfect addition to all your daytime and evening outfits. These three glittering Cubic Zirconia pendants on silver chains will make the ideal Christmas present for someone you love, so make sure you snap up these bargain buys before everyone else does. Wrap up your sparkling body jewellery in a beautiful gift box or pouch. These inexpensive gift boxes come in a wide range of styles and colours which will give your present an elegant finish. 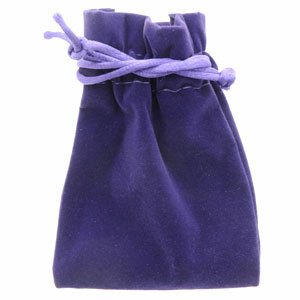 The purple velvet pouch has a fantastic drawstring fasten which will keep your gift safe and clean. 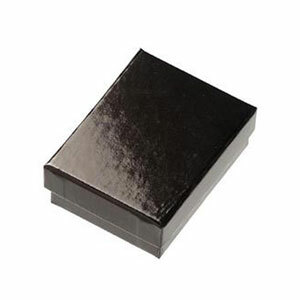 You will also love our glossy black gift box that will keep all charms, pendants and chain safe. 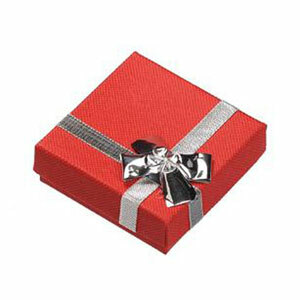 Lastly we have this gorgeous bright red earring gift box with a sweet silver bow, everyone will be impressed and intrigued to know what’s inside. Make sure you put any piece of jewellery in a pretty gift box to stop your present from getting damaged or lost. 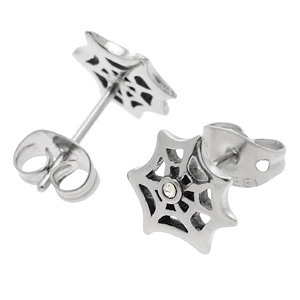 This entry was posted in Body Giftware, Fashion Accessories, Gifts and Accessories and tagged christmas, gift sets, Pendant, Pendants on November 25, 2011 by Piercing Guru. Effortlessly light up your look this year with a fabulous Alchemy Gothic pendant. 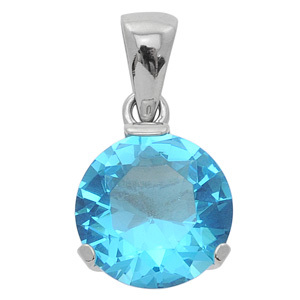 Here at bodyjewelleryshop.com we have a wide selection of eye-catching pendants which will look great worn to all your special occasions and days out. The fabulous design, attention-grabbing colour and fantastic quality will really surprise you. 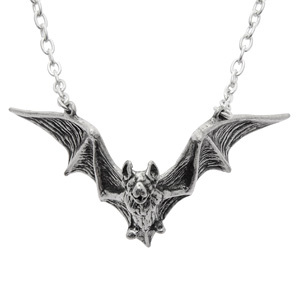 Add a touch of vampire glamour to your look with this Alchemy Gothic vampire bat pendant. This shimmering silver pendant will catch the light wonderfully and will sit beautifully around your neck. 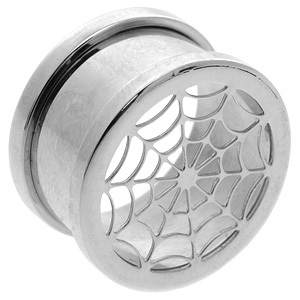 The fantastic detail will really make you stand out from the crowd and the incredible pewter with dark oxidised finish will complete your look. Whether you’re going to a Halloween party or a day out with your friends, this fabulous pendant with attached nickel free chain will look great paired with our glamorous black galaxy luster creme makeup. This amazing quality makeup will help you to create an elaborate smokey eye effect every single time. 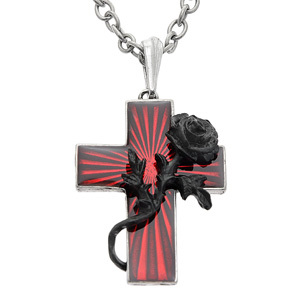 Sweeten up your style with our beautiful Alchemy Gothic black rose cross pendant. This eye-catching red cross and attached black rose will definitely get heads turning. You will instantly fall in love with the intricate and elegant design which will look great with absolutely any outfit. This fabulous pewter pendant is finished with a shimmering Swarovski crystal that will twinkle in the light for hours. This handcrafted pendant and chain will make a fabulous gift for a loved friend or sibling and will look incredible paired with our blue blast liquid skin sparkler. This entry was posted in Fashion Accessories, Gifts and Accessories and tagged Alchemy Gothic, Alchemy Gothic Jewellery, Alchemy Gothic Pendants, Pendant, Pendants on November 15, 2011 by Piercing Guru. Complete your look with an incredible stainless steel pendant. We have a wide selection of eye-catching designs which you will love wearing on your chain. Make sure you show off our cute pendants to all your family and friends. 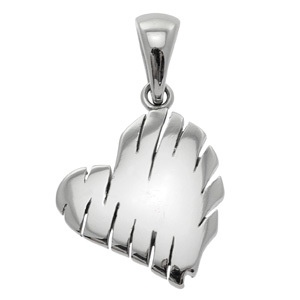 Treat yourself to this amazing stainless steel slashed heart pendant which will instantly update your style. The shimmering silver and edgy design will definitely make a bold statement whilst giving you a glamorous smooth finish every single time. The unique slashed effect will instantly grab everyone’s attention and light up your look. Whatever the occasion, this fantastic quality pendant will look brilliant worn to all your favourite outfits and matching accessories. 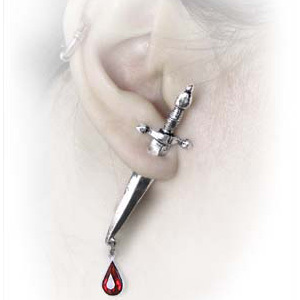 Have a look at our fabulous stainless steel slashed hearts stud earrings which will enhance your look. 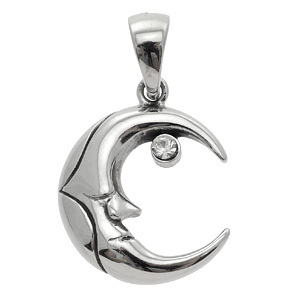 Sweeten your style with our adorable stainless steel sleeping moon crescent and CZ pendant. This glittering sleeping moon has a small Cubic Zirconia stone which will shimmer in the sunlight and add an elegant sparkle to your entire look. 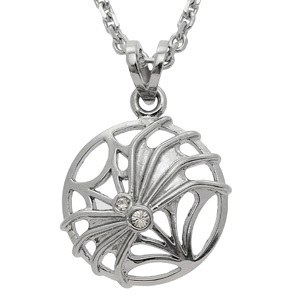 Everyone will want this amazing value pendant that feels light and comfortable on. 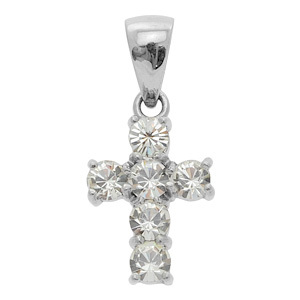 Your child will always treasure this special pendant and will love wearing it wherever they go. 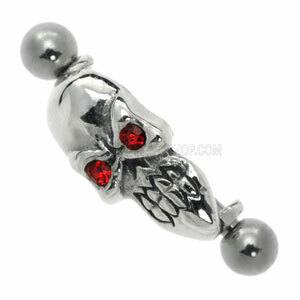 This entry was posted in Gifts and Accessories and tagged Pendant, Pendants, Stainless Steel, Steel Jewellery on November 5, 2011 by Piercing Guru.